FRESNO, Calif. (KFSN) -- The Fresno County Sheriff's Office is asking for the public's help in identifying the owner of a pickup truck who they believe may have been involved in a double homicide. Last December, 88-year-old Cynthia Houk and her daughter, 55-year-old old Jennifer DuPras, were found shot to death inside Houk's home on Colonial Avenue near Palm and Bullard. Investigators asked people in the area for any surveillance video they may have captured in the area of Bullard, Maroa, Sierra and Palm Avenues. Detectives found the truck on one of the images and based on information during their investigation, they believe the driver of the truck may have been involved in the homicide. 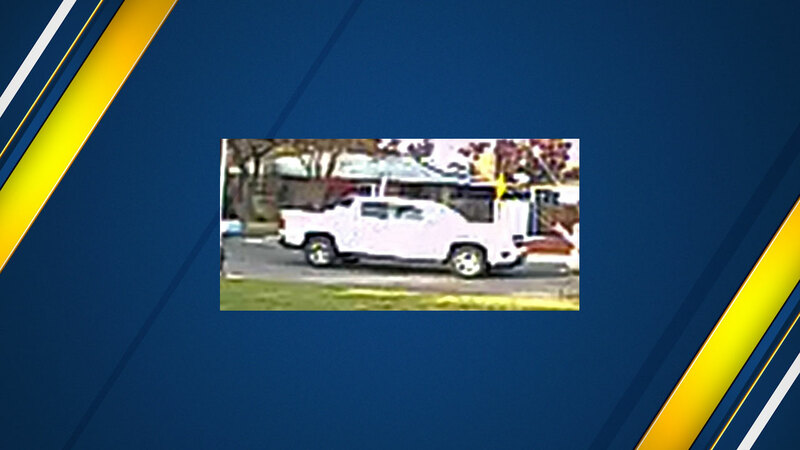 If you recognize the truck, you are asked to contact the Fresno County Sheriff's Office at (559) 600-3111.